Welcome to the C.I.A.K. Auto loyalty program. We reward your loyalty to our products and services with numerous benefits. 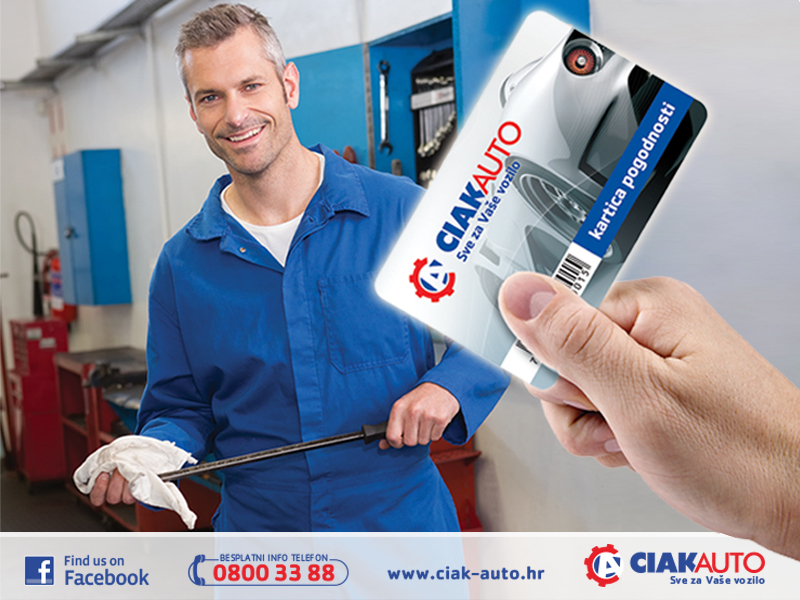 Depending on the amount you spend, using the CIAK Auto card allows you to get numerous discounts for every purchase you make in C.I.A.K. Auto retail shops. Apart from discounts, members of the C.I.A.K Auto loyalty program enjoy numerous other benefits which complement each other or alternate, depending on the time of year and the needs of the customers. the best value for money and high quality service. You can contact us via phone, e-mail, Facebook and other communication channels. In order to join the loyalty program and achieve the benefits, you only have to fill in the application form here or become a member in any of our offices. A user of the C.I.A.K. 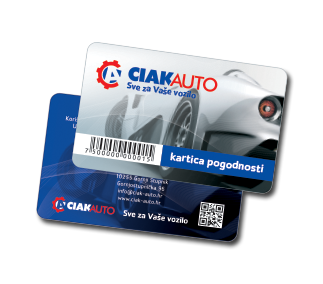 Auto benefit card is a member of the C.I.A.K. Auto loyalty program and is entitled to numerous benefits. By signing the application form, the user accepts all User Guidelines for C.I.A.K. Auto benefit cards as stipulated in the Benefit Cards User Guidelines and agrees with their personal information being used in the application form to be used and processed solely for the purpose of receiving notifications. The beneficiary vouches for the validity of information with his or her signature.